If you watched The Royal Wedding of William and Kate last week, you could not help but be fascinated by the hats – particularly by the hats worn by the women. Millinery is defined as women’s apparel for the head. A fascinator is a woman’s lightweight head scarf usually of crochet or lace. The lightweight, feathery hats that the women wore at The Royal Wedding were called fascinators. The rest were called hats. Some of them were quite beautiful. Many were sculptural. Many were wild and different. When I saw them, they reminded me that my grandmother used to wear hats. Cooking Christmas dinner in evening wear. Gotta love the good old days. 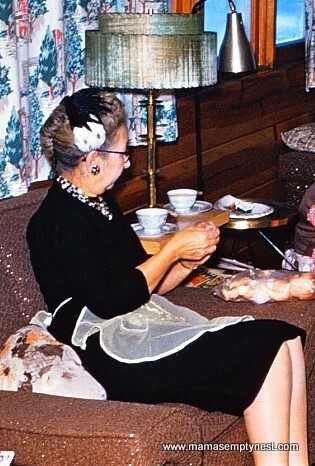 This is Christmas 1959, and my grandmother not only wore a sleek, black dress with a dainty white apron, she also wore a black and white hat made of feathers. I’m not sure if this would be considered a fascinator or a hat. It seems to be somewhere in between to me. I actually remember her wearing this hat. I wonder what happened to her hats? What is interesting is that her mother and her mother’s sisters, her aunts, owned a millinery shop in Chicago. 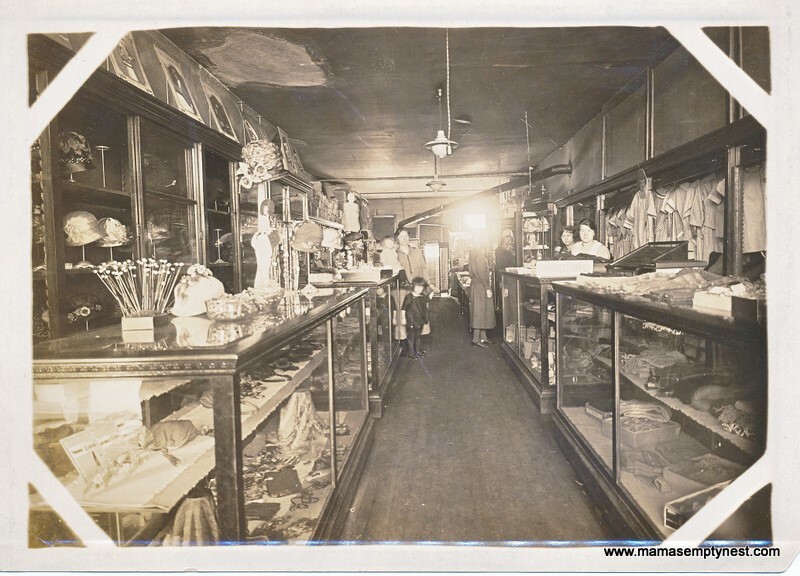 My sister gave me this picture of the millinery shop. I don’t have a date or the address, but I believe that the woman on the far right is one of my grandmother’s older sisters. The shop was somewhere in Chicago. You can see the shelves and cases filled with hats. A box sits on the counter filled with hat pins. My sister has a collection of hat pins. They are quite expensive so if you run across any when you are going through older relatives belongings, do not throw them away! My grandmother was born in Belgium and immigrated to this country with her family when she was a young girl. Her name was Julia, but it was recorded as Cecelia when she immigrated to this country. As I recall the story, the error was because the immigration officials did not properly understand the name as it was pronounced by the newly arriving immigrants. So my grandmother’s wedding announcement listed her name as Julia Octavie, but she signed her legal documents as Cecelia. My mother used the name Cecelia as the middle name for my second oldest sister, and Julia for the first name of my second to the youngest sister. Here is a picture of my grandmother with her three sisters. She is on the far right, sitting down. I’m not really sure who the other people are. I know that my grandmother’s younger sister was named Clara. I remember her because she was fun. She used to get down on the floor and play with us kids. My grandmother and parents frowned upon these antics. I do not have the birth names for her older sisters. I only have their names in reference to their husband’s names – Mrs. Baziel Billiet and Mrs. Firmin Beeuwsaert. 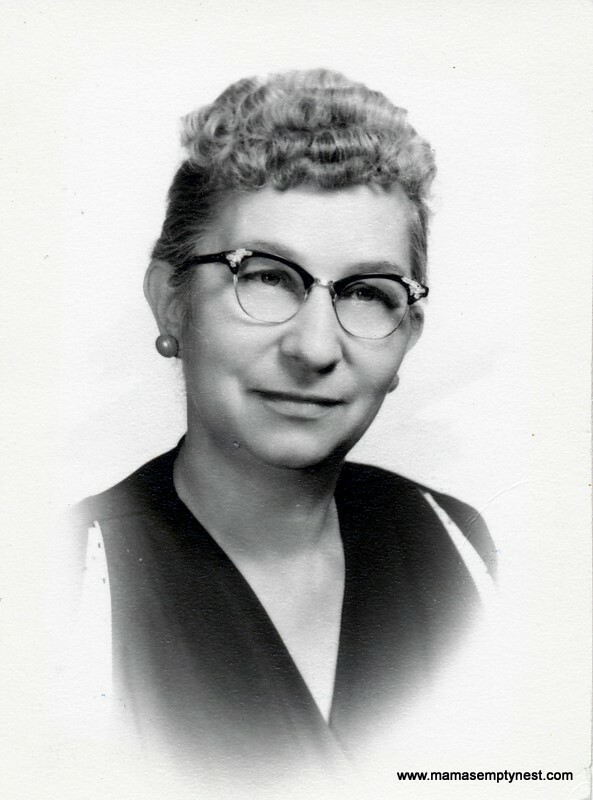 Here is a picture of my grandmother as I remember her. She was an interesting woman in many ways. She divorced my grandfather in 1945. She supported herself by being a seamstress until she retired in the late 1960s. This must have come naturally to a woman who was surrounded by women who sewed for a living. Certainly, making millinery is an art. An art that is not common today, but one which some of my female ancestors did for a living. It helped me to really appreciate all of those wonderful hats and fascinators I saw on television last week. Hello, my name is Ross Beeuwsaert. I live in Minnesota. I am the great grandson of Margaret Lava, married to Firmin Beeuwsaert. I do have 2 pictures, one of the family picture that has your grandmother and my great grandmother Margaret. The other picture is of the shop. Ross, It is SO good to hear from you. I have a lot of old pictures that I got after my father died. I’ll send you a private message and maybe we can connect! I am Lori Beeuwsaert Moore, granddaughter of Joseph Cornelius Beeuwsaert, who was Firmin’s brother. 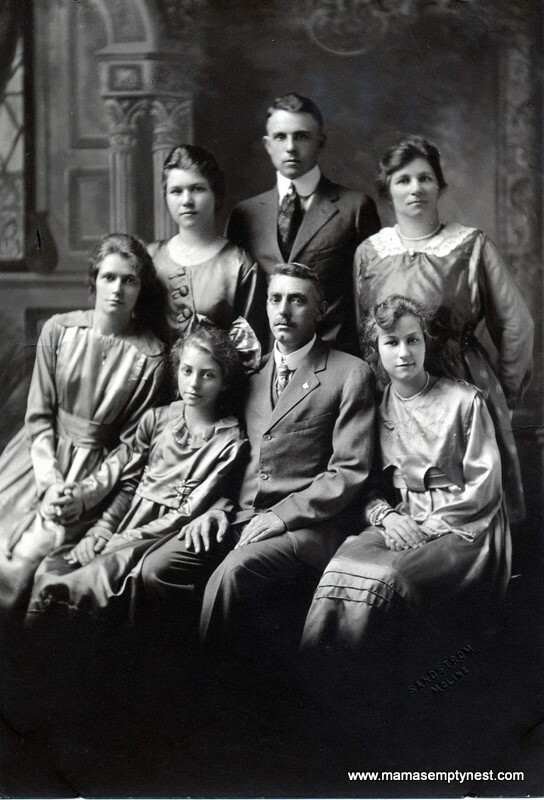 Joe and Firmin immigrated from Bixschote, Belgium in the early 1900’s. I have a picture of Margaret and of their house in MN. It was in my grandmother’s picture album. I would be glad to make copies and send them to you. My sister and I just visited Bixschote 2 weeks ago. We toured the restored mill owned by Prosper and Helen. Lucien, a brother to Joseph and Firmin, took over the mill when his Dad(Prosper) passed on. Ross, are you Johnny’s son? Johnny and my Dad(Joseph James) looked like they could be brothers. I would love to connect with you Lori. I have a Shutterfly share site for our historical pictures that I would love to share and you can share your pictures, too. Please email me at mama@mamasemptynest.com, and we can share details.